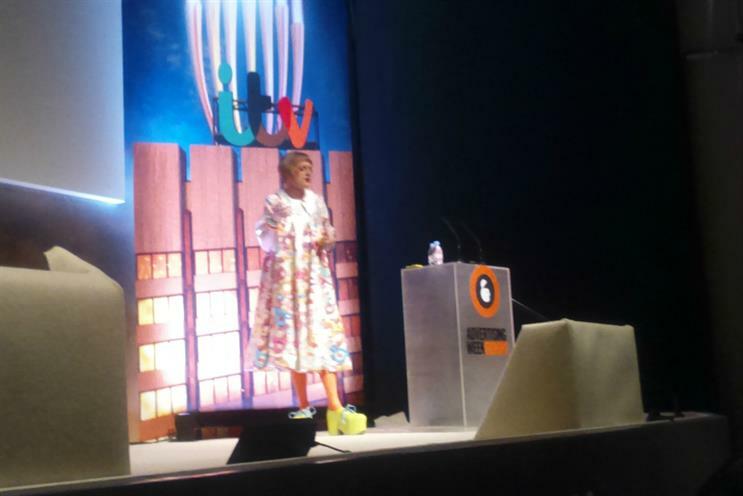 The artist Grayson Perry railed against buzzwords like "authentic" and "eclectic" during a talk on creativity at Advertising Week Europe today (26 March). The Turner Prize-winner opened by telling the audience of marketers and creatives that he often thought about becoming a commercial copywriter when he was in his 20s and still unsure if his art would make money. He said: "Advertising was my plan B. I always thought I was vicious enough." During the talk, called Lessons in Creativity, Perry said "inspiration was for amateurs" and words like authentic, eclectic and profound were too often banded around as meaningless clichés. He said: "These are all words that you show, not tell. The minute you have to say something is profound, it’s not." Perry then talked the audience through what he thought you needed to do to create art. Know thyself: "you must be able to use your emotions. Never be afraid of being open. It’s never done me any harm." Play seriously: "if you’re making art then you must make it seriously"
Be uncool: "As a transvestite, I’m compelled to be uncool. But I’m wary of it anyway because coolness is a form of orthodoxy. Being uncool is quite a powerful creative force." Be specific: "In a global culture people shouldn’t be afraid to be specific. Look at what’s happened to youth culture. The internet has made youth culture across the world the same. it’s a mash-up of things. There’s nothing worse than attempting to be globally applicable." Put in the hours: "I learned about that by making model airplanes. I get obsessed with detail." Grrrr: "I like using anger [...] anger puts me in a different place"
Don’t try to be original: "Nobody is original [...] Even people who do weavings in the Afghan hills borrow stuff."